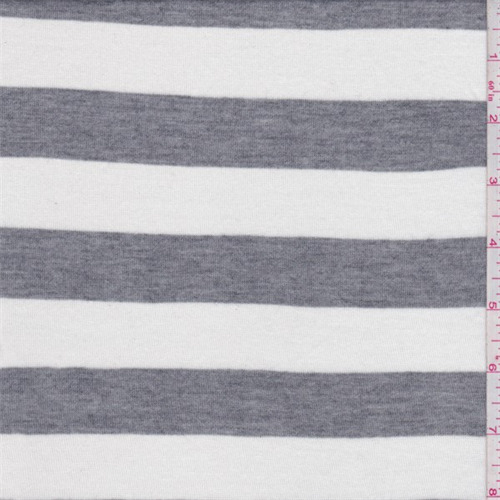 Lightweight rayon jersey knit with a 1" horizontal yarn dyed stripe and slight sheen. Very soft and supple, this fabric has a nice drape and moderate stretch in the width. Suitable for knit tops. Hand wash cold or dry clean.